60 Miles of Breathtaking Oceanfront, World-Renowned Golf, Coastal Cuisine, Fishing Fun, Exciting Water Sports, Nightlife that Can’t be Beat, and More. That’s why a Myrtle Beach vacation is THE choice for countless people from across the globe who, like you, want to truly savor every moment of that rare time away, and create special memories that will last a lifetime! As these people already know, the opportunities to create a one-of-a-kind getaway with Myrtle Beach vacation rentals and North Myrtle Beach vacation rentals are as endless as your imagination, for the 60 miles of soft, sandy beaches boast an unmatched variety of exciting surroundings – some of the world’s best golf courses, live entertainment, exhilarating nightlife, internationally acclaimed five star restaurants, thrilling water sports, unbelievable freshwater and saltwater fishing opportunities, year-round ongoing events and more. 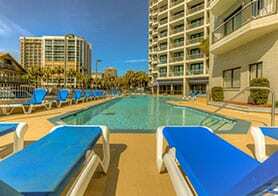 With something for everyone, and an endless list of choices, your trip to the Grand Strand is completely customizable, making your every trip to Myrtle Beach’s sunny shores a new and unique experience right down to your rental selection. 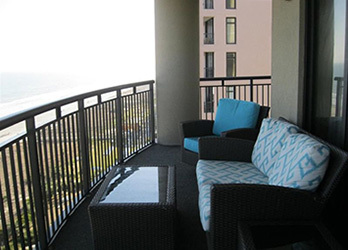 Oceanfront Vacation Rentals Inc is pleased to offer a variety of units for rent. Please note when making your choice, that all units include linens, are non-smoking and include Internet. 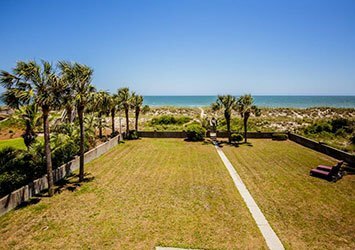 No doubt, it’s these seemingly endless vacation rental possibilities, along with Myrtle Beach’s breathtaking coastline setting, that make the Grand Strand the #1 Beach and Sun Destination in the World, and the 2010 TripAdvisor Travelers’ Choice.